I am pleased to report that UMBEL is now included as one of the recommended vocabularies for the Yahoo! 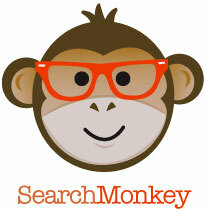 SearchMonkey service. Using SearchMonkey, developers and site owners can use structured data to enhance the value of standard Yahoo! search results and customize their presentation, including through “infobars“. SearchMonkey is integral to a concerted effort by Yahoo! to embrace structured data, RDF and the semantic Web. SearchMonkey was first announced in February 2008 with a beta release in April and then public release in May with 28 supported vocabularies. Then, last October, an additional set of common, external vocabularies were recommended for the system including DBpedia, Freebase, GoodRelations and SIOC. At the same time, some further internal Yahoo! vocabularies and standard Web languages (e.g., OWL, XHTML) were also added. 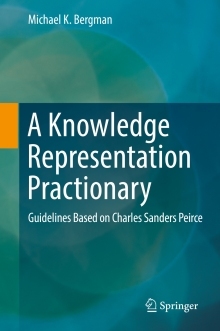 A recommended vocabulary means that its namespace prefix is recognized by SearchMonkey. The namespaces for the recommended vocabularies are reserved. Though site owners may customize and add new SearchMonkey structure, they must be explicitly defined in specific DataRSS feeds. Yahoo! Index — the core Yahoo! search data with limited structure such as the page’s title, summary, file size, MIME type, etc. This structure is only provided by Yahoo! Custom Data Service — Any data extracted from an (X)HTML page or web service and represented within SearchMonkey as DataRSS. As a recommended vocabulary, UMBEL namespace references can now be embedded and recognized (and then presented) in Yahoo! search results. In addition, there are a number of standard datatypes recognized by SearchMonkey, mostly a superset of XSD (XML Schema datatypes). What is emerging from this Yahoo! initiative is a very useful set of structured data definitions and vocabularies. These same resources can be great starting points for non-SearchMonkey applications as well. The 243-pp SearchMonkey Guide in PDF.